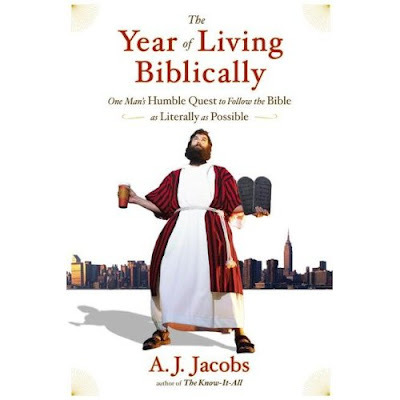 "Jacobs, a New York Jewish agnostic (he says he is Jewish in the same sense that the Olive Garden restaurant is Italian, which is to say, not much), decides to follow the laws and rules of the Bible, beginning with the Old Testament, for one year. (He actually adds some bonus days and makes it a 381-day year.) He starts by growing a beard and we are with him through every itchy moment. Jacobs is borderline OCD, at least as he describes himself; obsessing over possible dangers to his son, germs, literal interpretation of Bible verses, etc. He enlists the aid of counselors along the way; Jewish rabbis, Christians of every stripe, friends and neighbors. "In an open-minded way he also visits with atheists, Evangelicals Concerned (a gay group), Jerry Falwell, snake handlers, Red Letter Christians--those who adhere to the red letters in the Bible, those words spoken by Jesus Himself, and even takes a trip to Israel and meets Samaritans. Through it all, he keeps a healthy skepticism, but continues to pray and is open to the flowering of real faith. "Jacobs is a knowledge junky, to be sure. He enjoys the lore he picks up along the way as much as any other aspect of his experiment. One of the ongoing schticks is his meeting with the shatnez tester, Mr. Berkowitz. He is the one who determines whether or not your clothes are made of mixed fibers, in keeping with the Biblical injunction not to wear wool and linen together. The two become friends and prayer partners, in only one of the unexpected results of this year. He also came to believe that the Bible is a valuable holy text that deserves respect and hard scrutiny. There are a variety of interesting insights for us all along the way in this book. In the first place, since Judaism as we know it today is all about orthopraxy more than orthodoxy ( a way of living faithfully according to the Torah), it is no surprise that Jacobs approaches things from the point of view of changed behavior first. Indeed, he notes how changed behavior seems to change beliefs along the way. This is indeed a profound truth that too few Christians understand. The habits of the body affect the habits of the heart and mind. Thus, whilst Evangelicals might well think that Jacobs starts things the wrong way around (i.e. he should have begun to change his beliefs first, leaving behind his secular attitudes and assumptions), in Jacobs case changed behavior opened the door to a reconsideration of beliefs. Hmmm. Maybe its not such a bad thing to get people to go to church regularly before they believe in Jesus. A second profound insight from this book is that no one, and I do mean no one, actually follows the Bible literally in all its demands and aspects. This includes the most diligent orthodox Jews, and the most fundamentalist Protestants. All are selective in various ways, and in some cases the selectivity has a good rationale (e.g. the Temple isn't around any more, therefore Jews shouldn't offer sacrifices), and sometimes it does not. A.J. Jacobs is a funny guy, and he writes very well, but lest you think his Bible Quest was done in jest, I would urge you to read through the book and see how hard he struggled to keep God's Word even in particulars, as he strove to understand it all. He assumes throughout that there must be a reason for all these peculiar rules and 613 plus commandments in the OT, never mind the NT. And to be balanced, he spends the final one third of his quest trying to follow the commandments and teachings of the NT. Fair is fair. What is interesting is that a genuine spiritual quest happened along the way of this little experiment and it is important to notice its effects. For one thing, Jacobs became a less critical and profoundly more grateful person for God's good gifts of life and health and the like. A few excerpts will give you the flavor of the book. 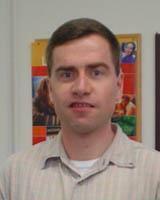 "Before I started living biblically, I had feared that I'd be forced into a year of sobriety. After all, I knew some Puritans banned booze. And certain fundamentalist Christians think of alcohol as up there with adultery, idol worship and South Park. A few even argue that the 'wine' drunk in the Bible is not wine at all but actually grape juice. This was the thinking of a temperance advocate named Thomas Welch, who tried to sell 'unfermented wine' in the late 19th century for communion services. He failed. At least until his family changed the name to grape juice and marketed it to the secular. drinking will cause a brother to stumble. Total negative references 40, or 16%. parison. Total positive references: 145, or 59%. "Neutral references make up the other 25%. If I could add only one observation to Whitfield's study: There is also one reference to medicinal alcohol: 'No longer drink only water, but use a little wine for the sake of yopur stomach and your frequent ailments (1 Timothy 5.23). "It comes down to a battle between the Bible's gusto for life, and the Bible's wariness of excess. Between its Epicureanism and Puritanism. You can find both themes in Scripture....The key seems to be to enjoy wine as one of the many great things God has provided us. But don't enjoy it too much. Use what Anheuser-Busch public service announcements call 'responsible drinking'. Otherwise, bad things happen." (pp. 231-33). One of the things that is interesting about this and other surveys and studies that Jacobs does in this book is the sort of flat hermeneutic applied to the Biblical text, assuming that it all applies to all God's people at all times, rather than a more covenantal approach which says that there are different regulations for differing times in the history of God's people as the covenant and its rules are changed by God. In other words, Jacobs the secular Jew reads the Bible like the ultimate literalist or fundamentalist. Interesting. "It's not a particularly offensive sermon, but I will say that it has absolutely nothing to do with the Jubilee the Bible talks about. The Bible's Jubilee year is about forgiving debts and returning all property to the original owner, about social justice, about evening the balance between rich and poor. Falwell's was about expanding his church." (p. 262). And now we have hit on something truly insightful. Biblical literalists often, oxymoronically, spirtualize passages of the Bible so they can use them for their own purposes, and not for the purposes originally intended in the text. Or as Jacobs puts it in his final summary "The year showed me beyond a doubt that everyone practices cafeteria religion. It's not just the moderates. Fundamentalists do it too. They can't heap everything on their plate." (p. 328). Wow. Busted. Along the way Jacobs also learned that fundamentalists are in most ways absolutely normal and often very likable persons. They're just religiously conservative. A long time ago, I learned that it is a good thing to take a step back and listen to outsiders, so that you can see yourself as others see you. This helps to learn, at a minimum, the impression you leave on people who are outsiders, which is not an unimportant factor if you are trying to win the world for Christ. In that vein, this book is a very important book for Christians to read. It will make you smile, it will make you cry, and above all it is achingly genuine and honest, and occasionally profound. If you read it, let me know what you think. I read this book in October of last year and have since passed it on to everyone I know. Not only is Jacobs hilarious (as evidenced by his other writings as well) but he also has tremendous insight that every person of faith could learn from. I especially liked his references to the Sabbath. As a pentecostal Christian, I see way too many people focused on busyness and activity "for the Lord." I read "Keeping the Sabbath Wholly" by Marva Dawn a few years ago in college and it changed my life. I don't always keep the Sabbath the way I'd like, but my entire mindset has changed. To be fair, everyone may practice cafeteria religion to an extent, but not everyone thinks they should. Hm, thanks for posting a review of this Dr. Witherington. I may have to get this and read it at some point in the future. I was hoping he'd have converted by the end, but I guess a reverent agnostic is a step... maybe. Biblical literalism was something difficult for me. I wouldn't say I was raised a fundamentalist by any stretch of the imagination, but I was raised very conservative. I do take the Bible seriously still, and obviously there are points where literalism is involved, but I recognize now that one should not read the Bible in the same way that he reads the newspaper. I guess my biggest question, from a Christian perspective, is whether keeping the Bible "literally" means doing a whole bunch of things written in the OT that I believe were part of a now-replaced covenant of which I was never a part. In other words, I can wear polyester, not because of a cafeteria literalism, but because I'm a gentile post-NT Christian. Still, it sounds like an interesting read. That's a great review that points out a needed message. I used to be one that imagined that I took the Bible "literally" when so many others did not. It's been a long, painful, but much needed journey for me to open my hermeneutical eyes to the way I read the text and to learn that everybody uses theological lenses of some sort. I think sometimes it takes a guy and a book like this to help people see that. I have been thinking about reading this book, now I believe I will. I heard about this some months ago. I'll definitely have to pick up the book. The last two paragraphs of your review are wonderful. Thank you. Thanks Ben, I'll definitely try to read this book. Gen. 3, like Gen. 1-2 is a saga. What is a saga? A story that has historical origins and substance. A good example of a saga from non-Biblical literature would be the Iliad, as there really was a war like the one described in the story. Thus, do I think Adam and Eve are historical persons? Well clearly the Biblical writers, and Jesus and Paul thought so, and I see no reason to dispute that. What I would add however is that the story is told from a particular point of view, namely from the point of view of the rise of a chosen people of God. By this I mean the writer is not even remotely interested in where the wives of the children of Adam and Eve come from. He is only interested in the origins of a particular people, God's people. Other people groups may have originated elsewhere, and by implication they did according to the story of intermarriage between Adam's family and outsiders. Thus when Adam is seen as the progenitor of the whole human race, what is meant of course is that he is its federal head (his actions affect all persons in the Fall) and he is the direct antecedent of all God's people (see Jesus' genealogy in Lk. 3). Glad to see you comment on this book. It immediately became one of my favorites when I read it last fall. His comments on the need of religion to constantly check itself. . . evolve,if you will, were particularly poignant. That whatever purpose a law may have served in former days has now become fuel for a book shelved in the humor section (as misleading as that classification may be) is quite a statement and as you say, is a cause for reflection. Ben, if genesis is a saga, do you think it contains legendary elements? Do you think, like Peter Enns, that God can use "the category we call 'myth' to speak to ancient Israelites"? I absolutely loved this book. I read it in about a day in January, spending every spare moment I could on it. My favorite part dealt with Jacobs carrying around a portable seat in public, so that he would not have to sit on any unclean place. Jacobs notices parts of the Bible that I have slowly grown to take for granted, and the book convicted me to treat God's Word with more reverence. Wagner there are certainly mythical elements in some of the poetic material in the OT-- for example in the Psalms we hear of the myth of Leviathan, a myth Jews shared with other ancient cultures. It is a more difficult question to answer whether there is myth in Genesis. In the first place it does not use the usual mythical monster (although we do have a loquacious snake), and frankly when we get to the actual story of the creation of man and then human beings in general it reads more like saga than myth. If you want to see how a good Evangelical OT scholar deals with this subject-- read Gordon Wenham's commentary on Genesis, and when it is published next year Bill Arnold's Genesis commentary in the series I edit for Cambridge U. Press. I saw this book in the humour section at Borders, and looking at the cover and reading the blurb, wrongly assumed the author wrote it to mock Christian belief. Thanks for this informative review. I for one now plan to read this book. Blessings to you and your colleagues at Asbury. One of lecturers did his Master's there a few years ago. Thank you for your review. I read this book in two days and am now more convinced that I need to re-examine my Christian life, that is, am I really living the Christian life? It is ironical that it takes a non-believer to stir up the desire in me to want to look into my daily living with God in mind in a more serious way. A SHOUT OUT TO THOSE NAZBOS!! !